We anchored in Kupang harbour at sunset Sunday evening. We engaged Mr. Napa Rachman as an agent to do our formal paperwork. He got the ball rolling at 7am yesterday and brought back everything for us to sign at noon today, Tuesday. We signed, got our documents and extra copies and chatted a bit then did a round of photos. So much easier than running around all over town to the different offices, Immigration, customs, harbour master and quarantine. 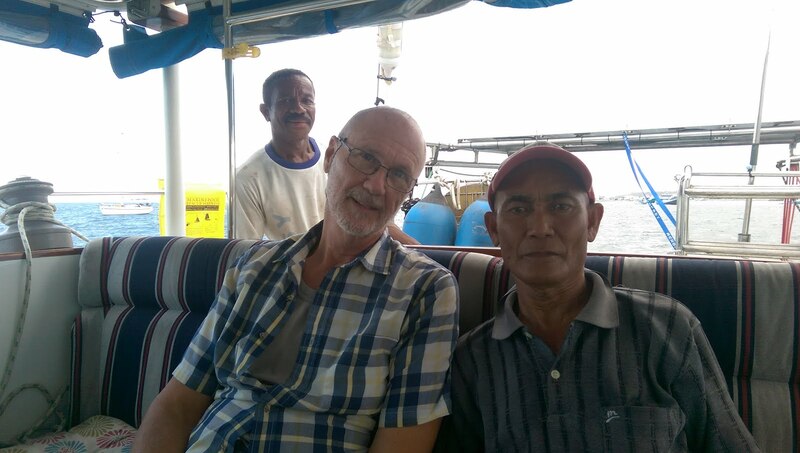 We will depart for Adonara island tomorrow. We plan to cruise along the coasts of Flores, Rinca, Komodo, Lombok and then to Bali for the next month or so.